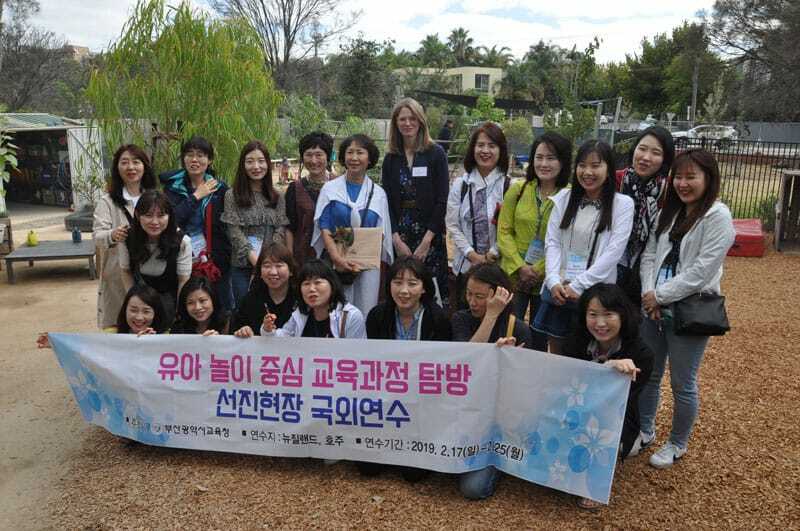 Lady Forster Kindergarten recently hosted 18 delegates from South Korea during late February as guests of the Victorian Department of Education and Training. 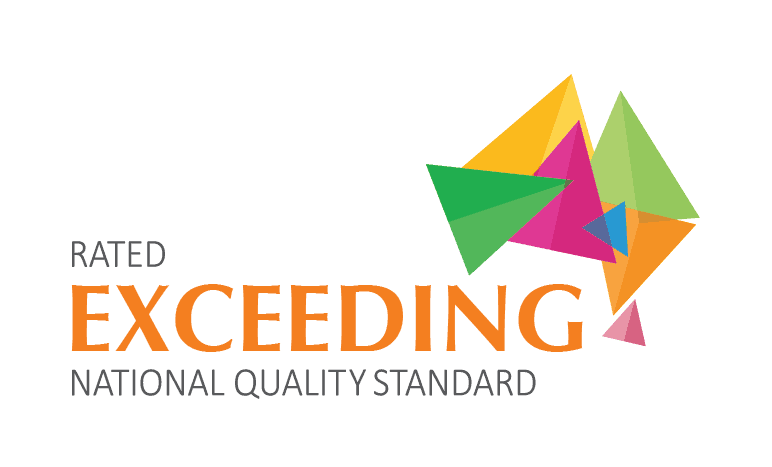 The delegation came to see to see ‘play based learning’ principles in action. The delegation was visiting Victoria from Busan in South Korea- sister state to Victoria, to explore potential new models for kindergarten and childcare centres. Lady Forster Kindergarten was selected to showcase their programs as a high performing kindergarten with a strong play-based learning program. They also welcomed local MP James Newbury and City of Port Phillip Deputy Mayor Louise Crawford as special guests on the day. The children were not very impressed when shown that in South Korea they eat seaweed! LFK has been providing play-based learning programs for the children of Port Phillip for almost a hundred years and through its coastal curriculum program, provides a unique immersion experience in its own ‘backyard’ location nestled into the coastal foreshore of Elwood beach. 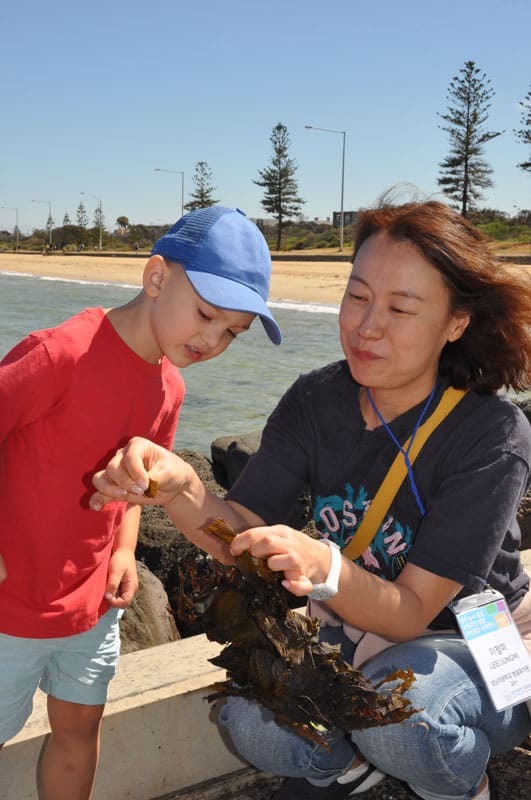 Lady Forster’s coastal curriculum is similar to ‘Bush Kindergarten’ programs but features the ever-changing coastline of Port Phillip Bay and the unique native bush environment and eco-system of the foreshore habitat. The day was a great success, beginning with an exchange of gifts and then Jaeden Williams, a local Boonwurrung man, performed a smoking ceremony and ‘Welcome to Country’. The delegation accompanied a group of children on a beach walk to showcase the Kindergarten’s coastal curriculum and then the children sang some Australian animal songs as part of a special group time. 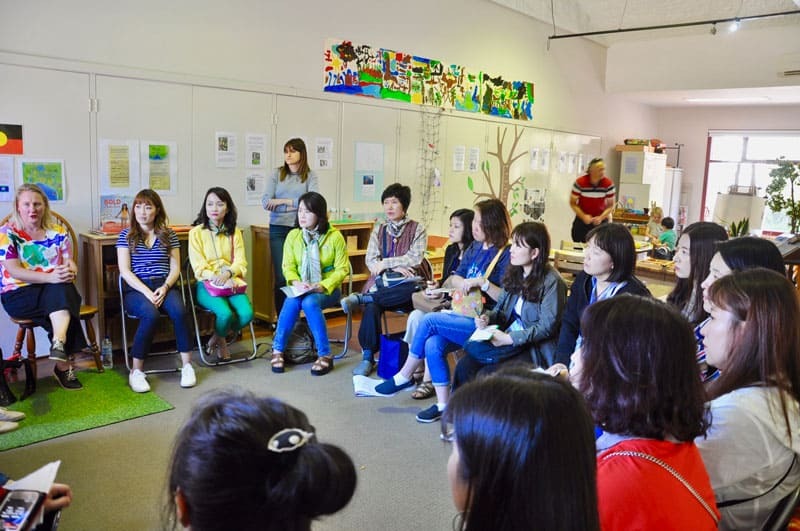 The teaching staff from South Korea were eager to learn about the Victorian early learning systems and had plenty of questions for the Lady Forster teachers. The visiting delegation of educators from South Korea were eager to learn about play-based learning principles and the coastal curriculum at Lady Forster Kindergarten. The South Korean delegation of educators hosted by the Department of Education with President of Lady Forster Kindergarten, Amy Demediuk, after the Welcome Ceremony.